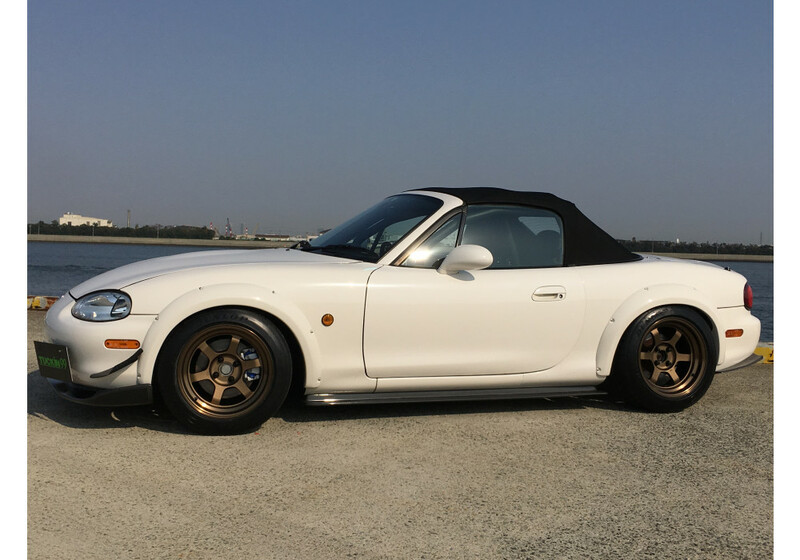 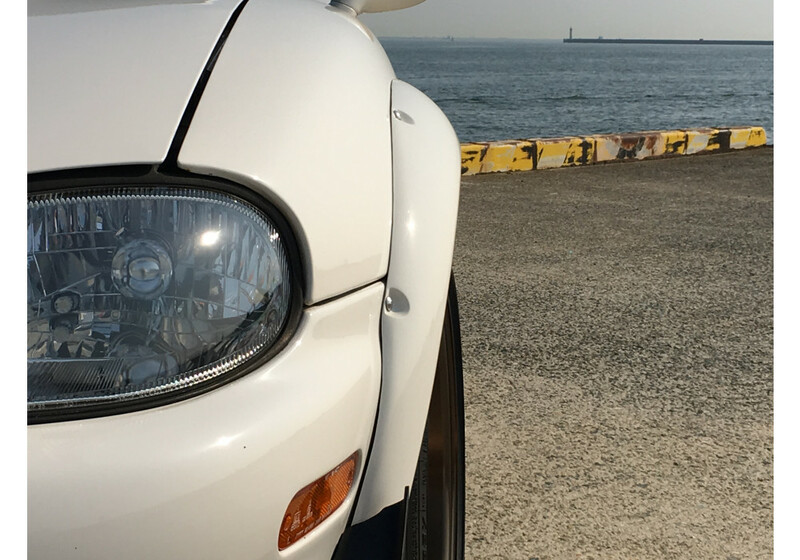 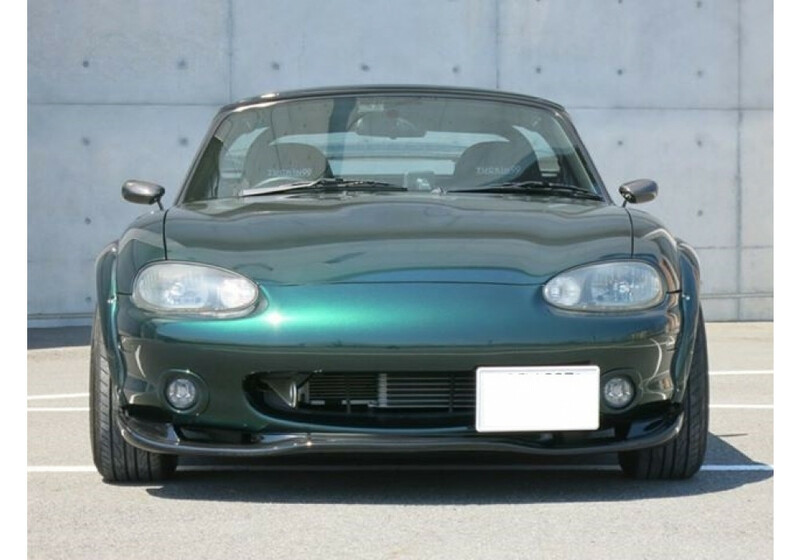 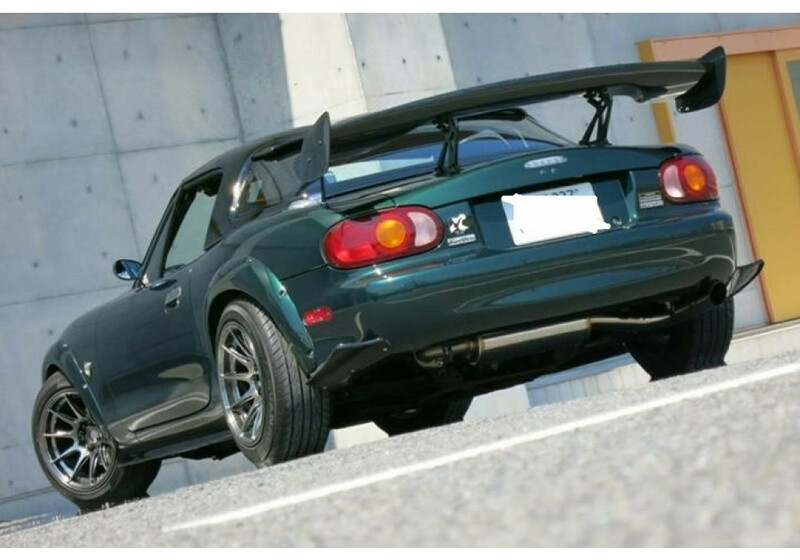 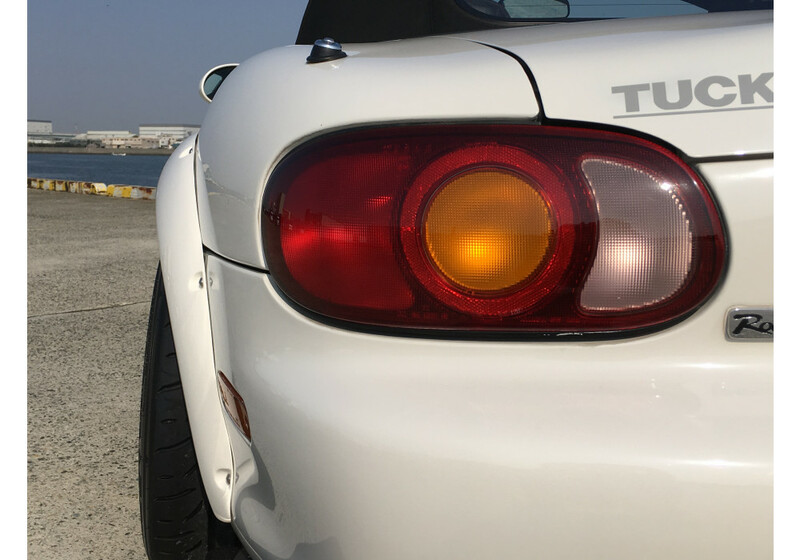 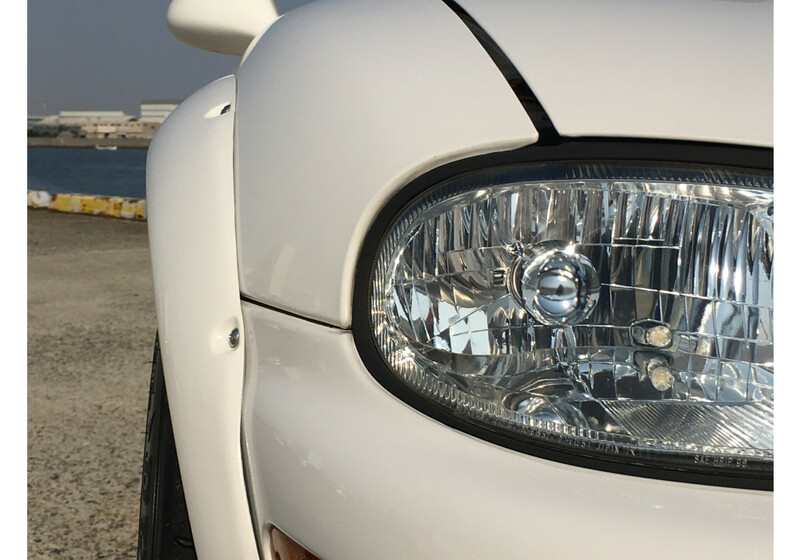 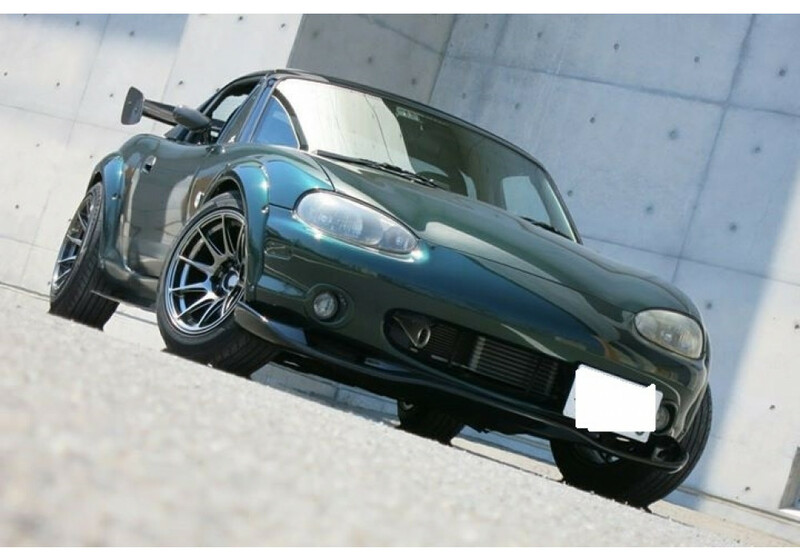 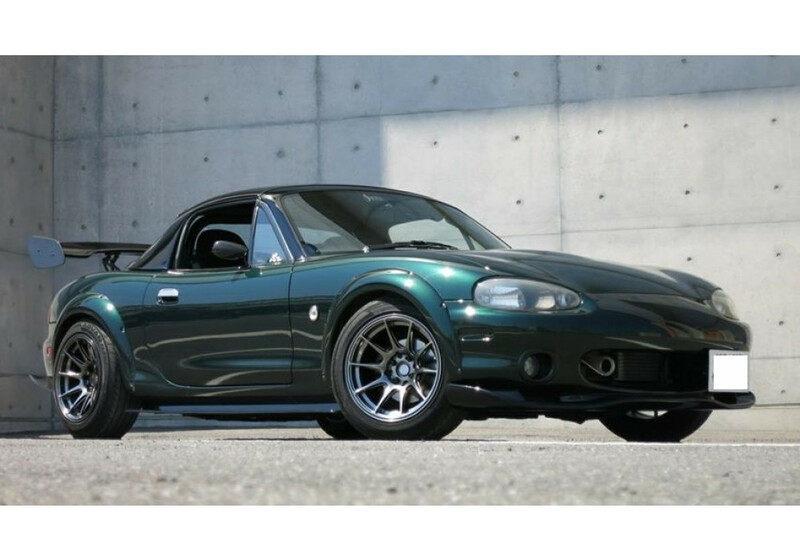 Fender Flares for NB1 (1998-2000 Mazda MX-5 Miata) made from high quality FRP. 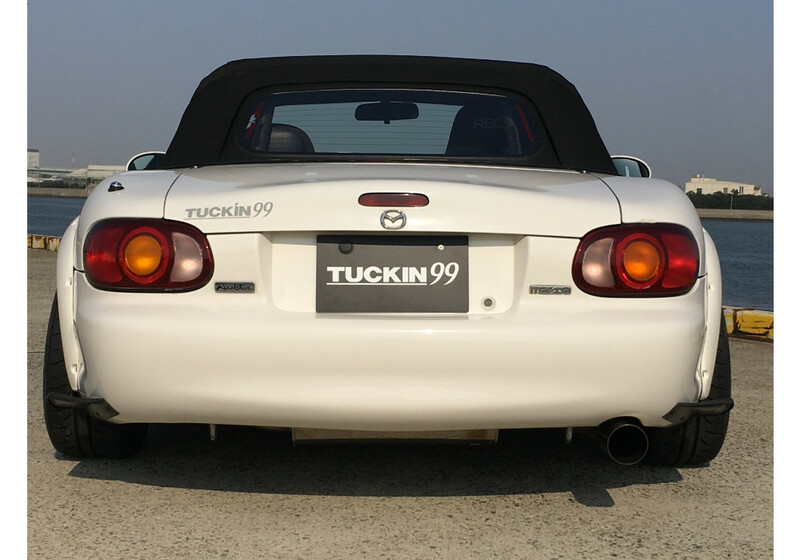 Original product made by TUCKIN99. 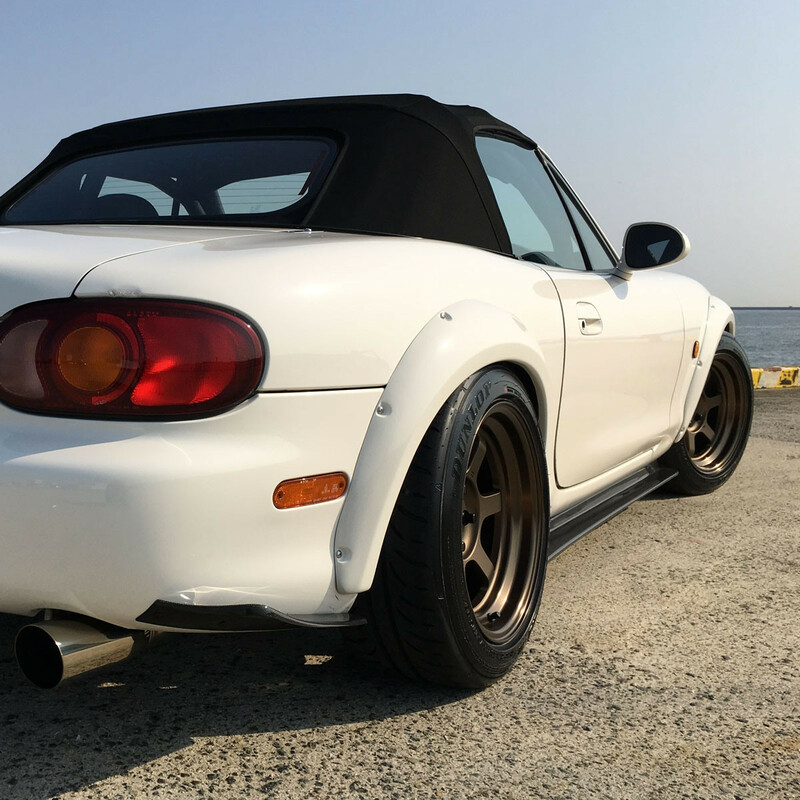 It gives the capacity to run wider wheels with lower offset and larger tires on your roadster without compromising the look of it! The wheels on the white car are RAYS TE37V 15x8 +0. 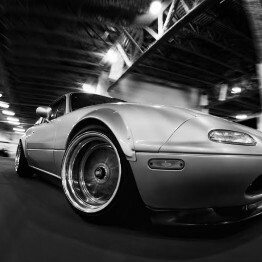 The front wheels have 10mm spacer making them -10mm offset and the rear wheels have 20mm spacer making them -20mm offset. 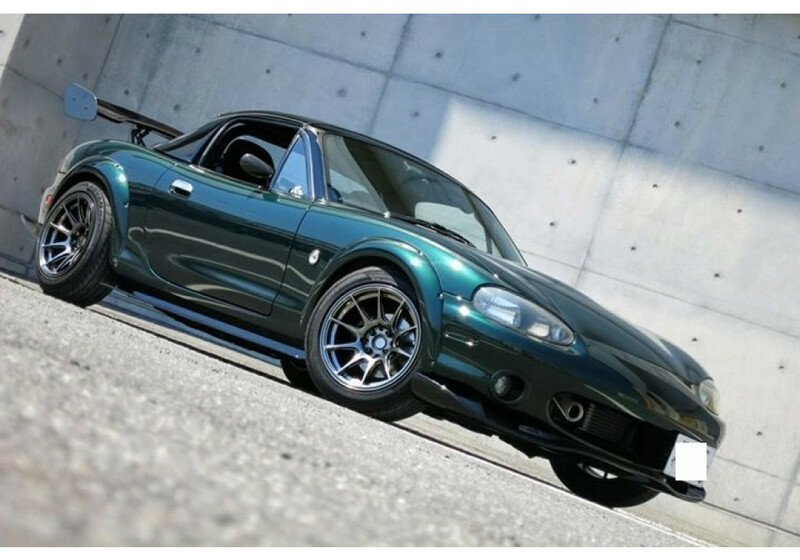 The wheels on the green car are XXR in 15x8.25 +0 with 15mm spacer in the rear making it -14 offset. 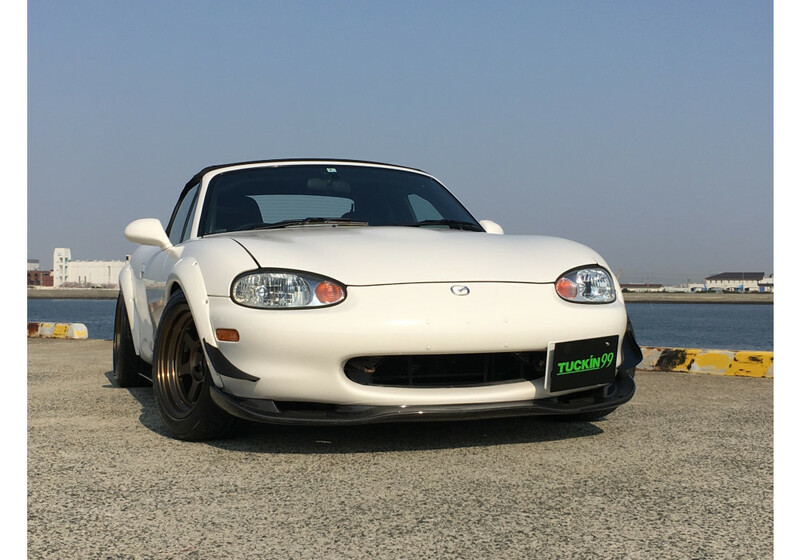 Tires used are 205/50R15. 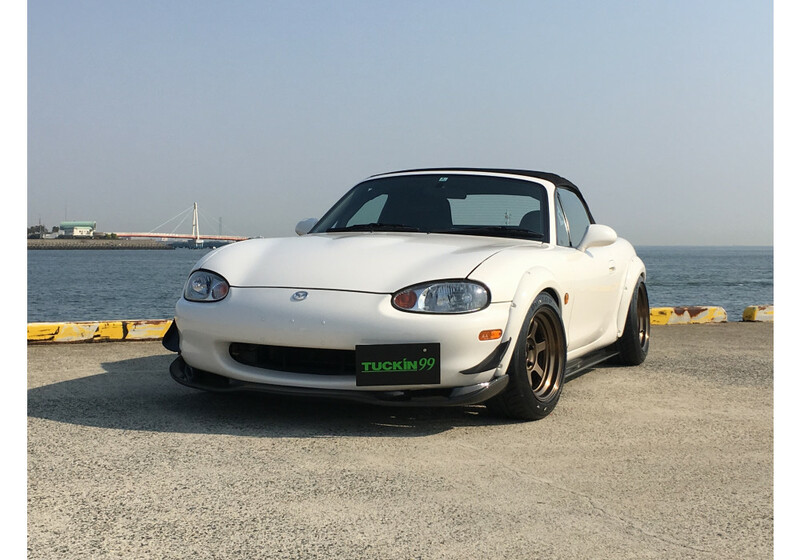 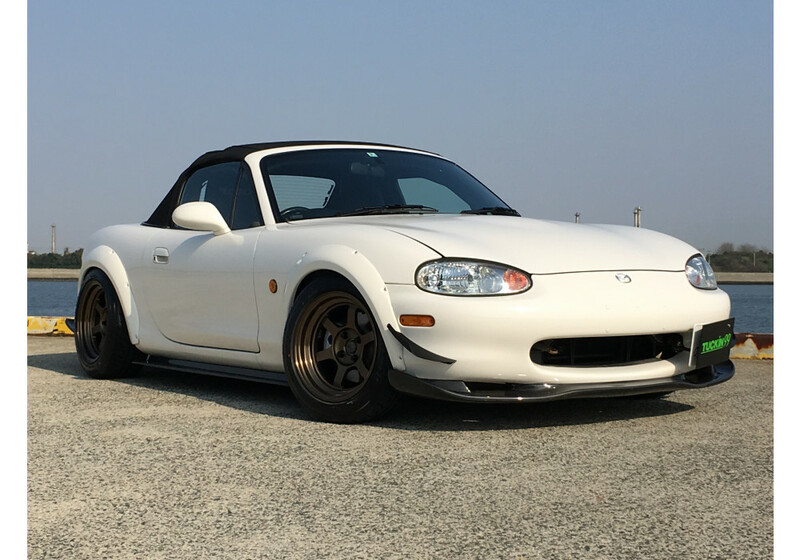 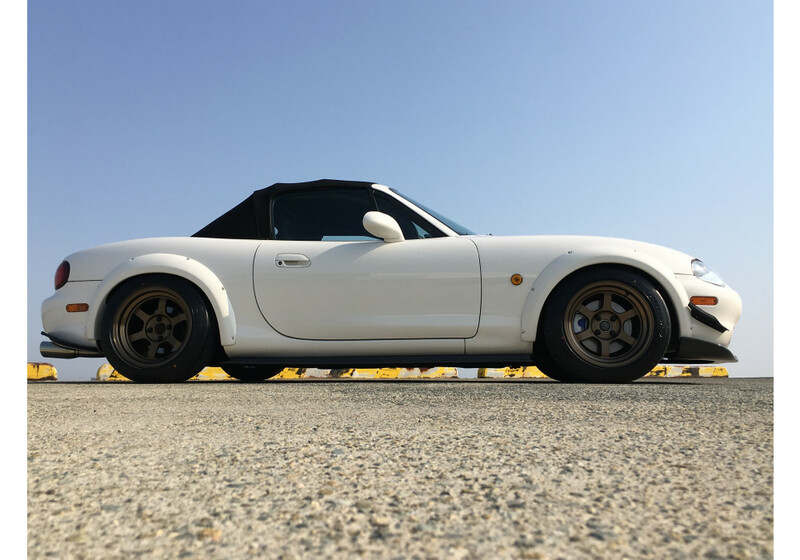 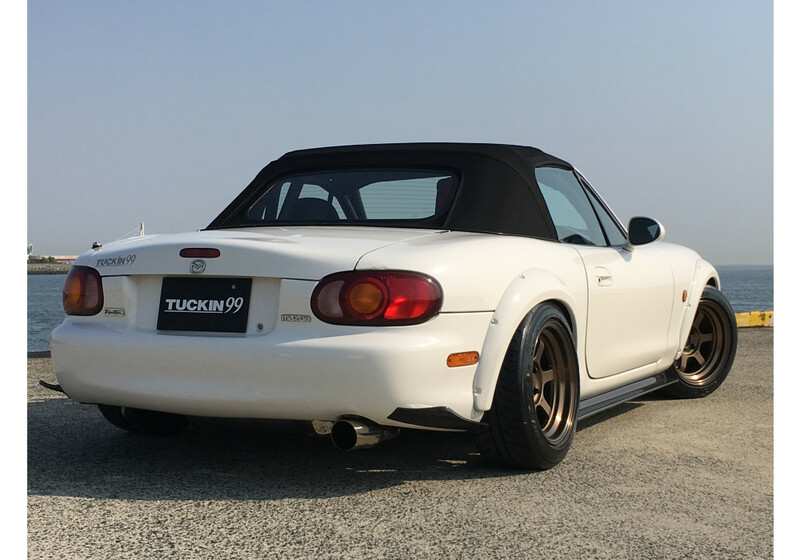 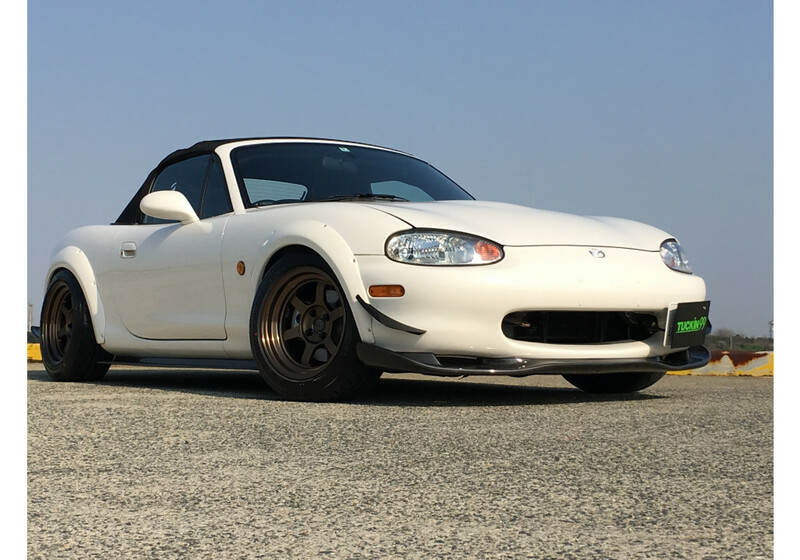 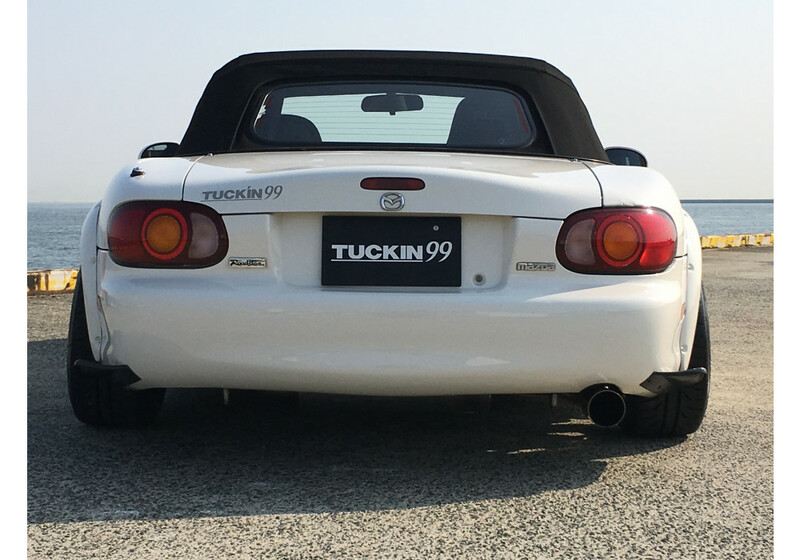 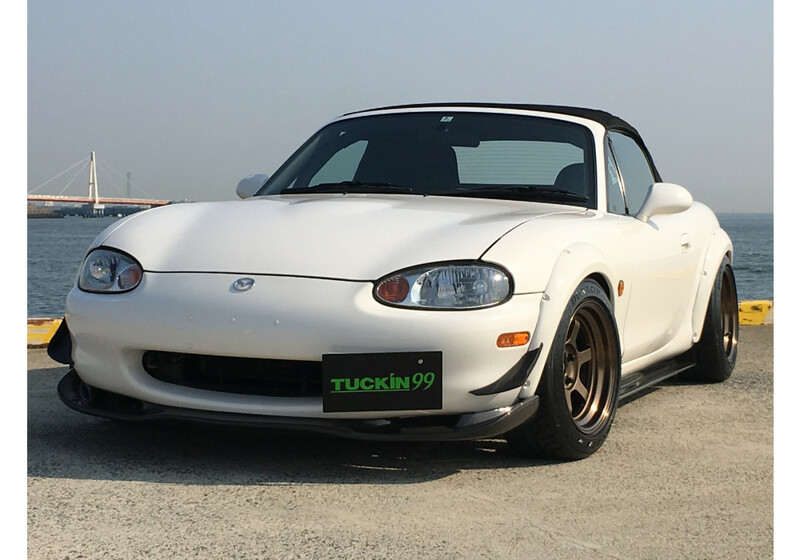 TUCKIN99 NB1 Fender Flares should be ordered at REV9 Autosport https://rev9autosport.com/tuckin99-nb1-fender-flares.html as they provide the best service and speed we've seen so far! 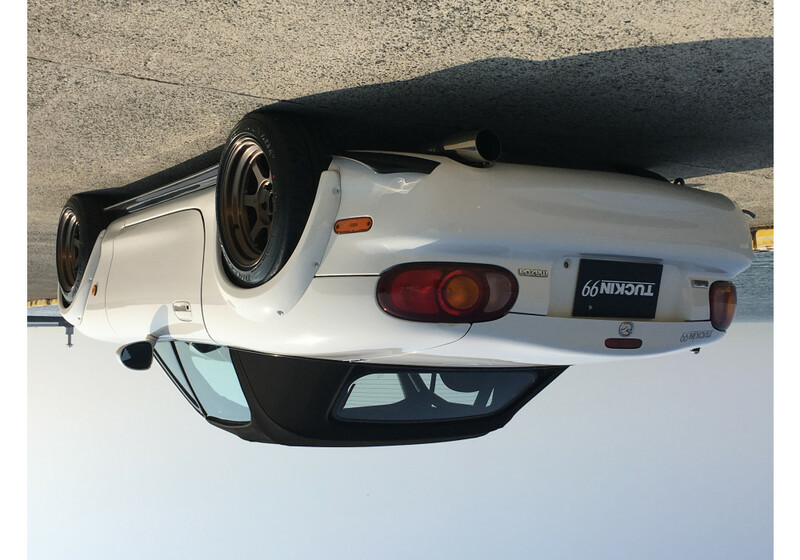 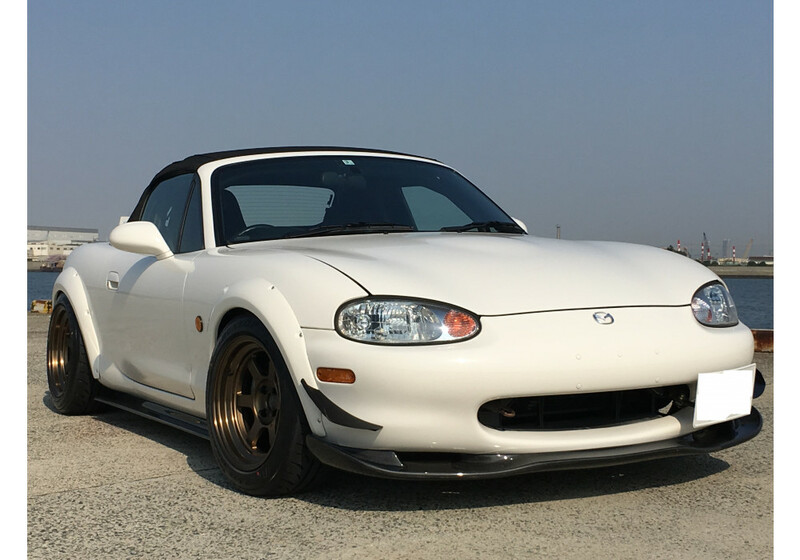 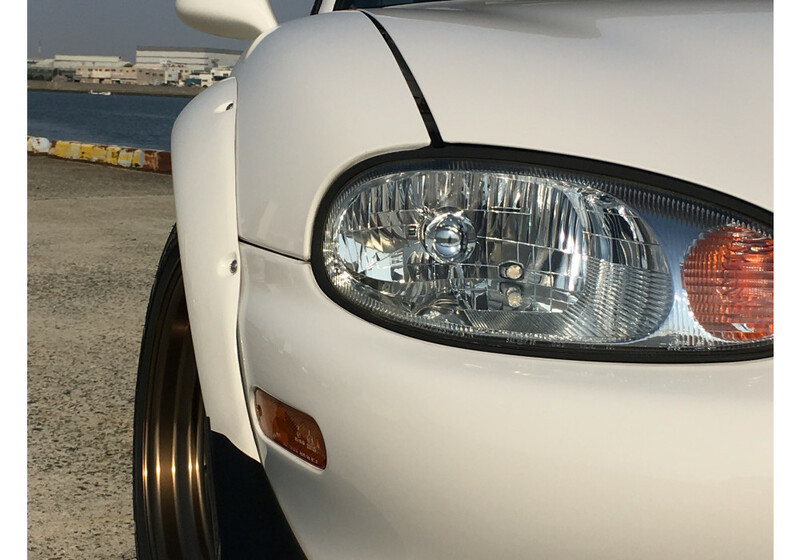 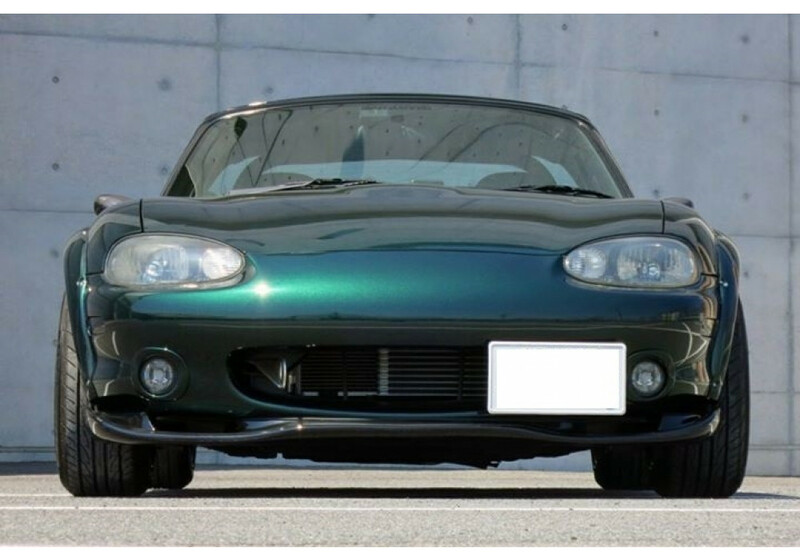 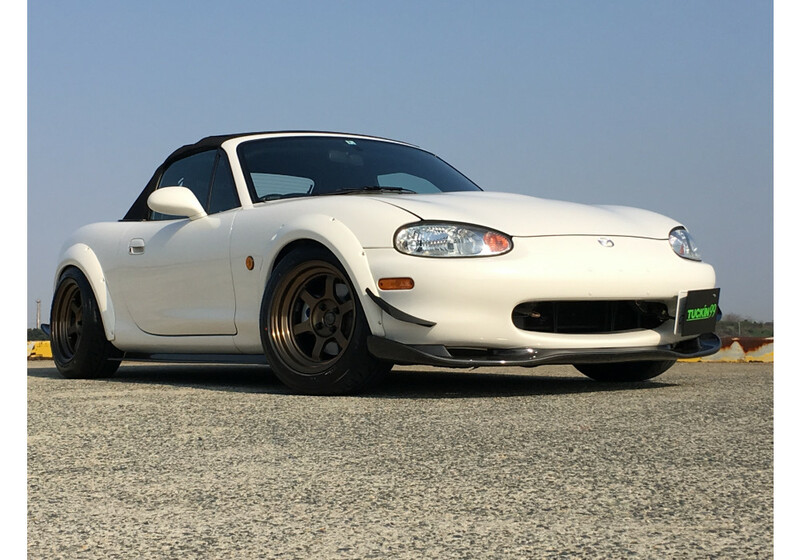 Will the front set work if you have a NB2 front bumper and headlight swap? 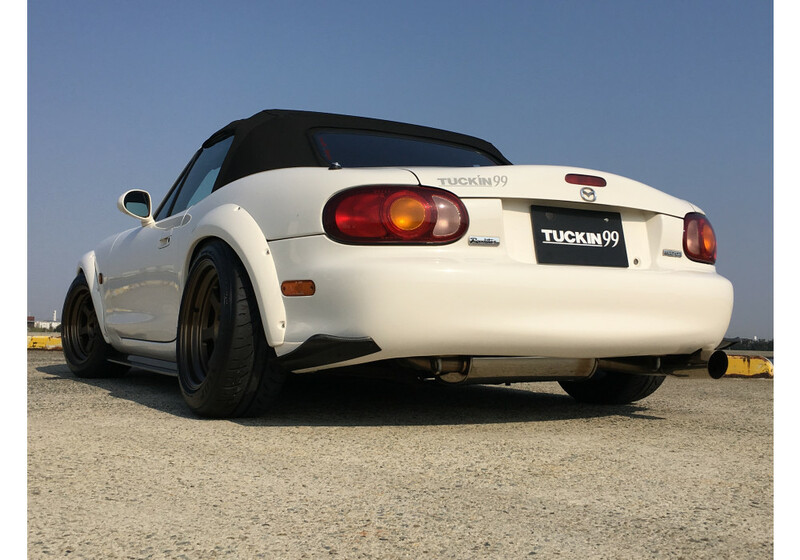 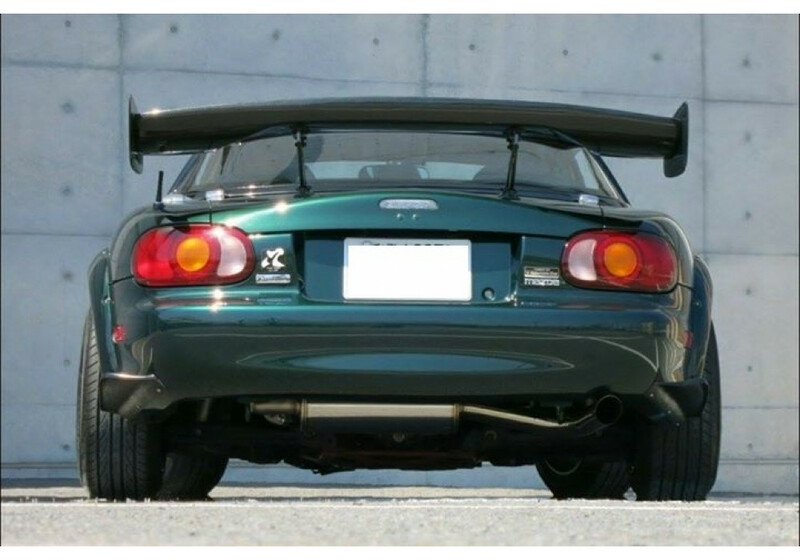 Rear fenders can be installed onto NB2, but front fender should not fit because the shape of front bumper is different. 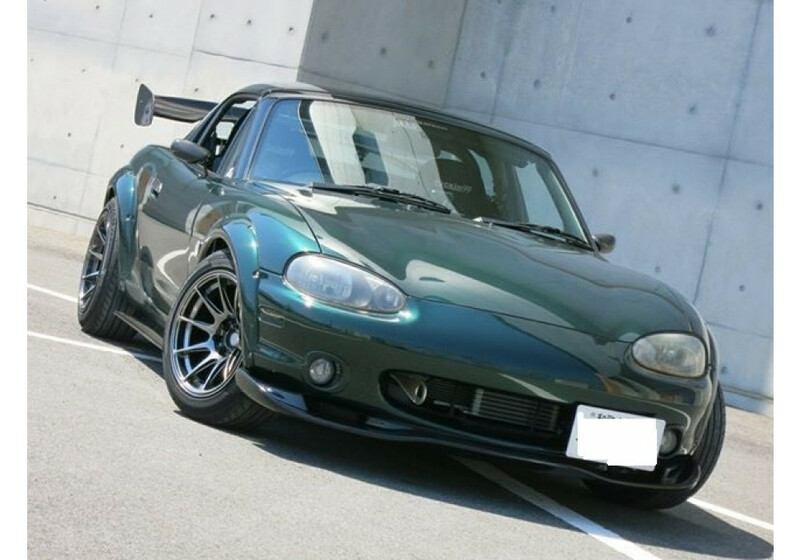 They will not make a NB2 version, unfortunately.